Home / Blog / Health / How Early Can Bipolar Disorder Be Diagnosed? How Early Can Bipolar Disorder Be Diagnosed? Bipolar disorder is one of the most complex and often misdiagnosed mental disorders in the world. People often struggle for years or even decades before getting an accurate diagnosis of bipolar disorder. Because the symptoms of the disorder shift between different phases, physicians may miss certain aspects of the person’s illness and wrongfully give them a diagnosis of depression, ADHD or other disorders often confused with bipolar disorder. It is important to get an accurate diagnosis as early as possible but it can be difficult with the many changing symptoms that a bipolar person experiences. Fortunately it is possible to diagnose bipolar disorder even in childhood although it is more likely to be diagnosed in adolescents and young adults. Children can actually experience many symptoms of early onset bipolar disorder but it may take time for their family to realize that there is a problem. Identifying and understanding bipolar disorder in young children can be complicated because kids may manifest the symptoms differently than adults do. For example, during manic episodes children may be more likely to be irritable and prone to destructive outbursts rather than experiencing the kind of euphoria that adults do. During a depressive phase they might have more physical complaints such as headaches, muscle aches, stomach aches or tiredness. Parents may be aware that something is wrong when their child is experiencing these symptoms but may not be able to tie it to a mental illness like bipolar disorder because it may not look like depression or mania. A psychiatrist who specializes in childhood mental health may be able to identify the symptoms if they have experience with early onset bipolar disorder. Kids who are treated early for their mental illness are likely to fare better later in life and live more functionally with their disorder. Kids might find it hard to express what they are experiencing and adults may not understand a complicated disorder like manic depression. However there are certain signs which may indicate that a child is beginning to develop bipolar disorder and needs to receive psychiatric attention. Manic symptoms can differ greatly from depression so it is important to know the difference. Children with bipolar disorder may struggle in school, performing poorly or taking frequent absences because of their symptoms. They may also be socially isolated from their peers, have conflict in their family life and talk about running away from home. In their teenage years, kids might start to use alcohol or drugs to self-medicate and help them cope with the disorder. Since most people are diagnosed with bipolar disorder later in life, children who exhibit symptoms of the illness are thought to have a more severe form of the disorder. Those with adult onset bipolar disorder may have less dramatic symptoms. Childhood bipolar disorder may involve a continuous and rapid-cycling mixed symptom state that can easily be confused with or have co-occurring disorders. Adults tend to have more stable periods between episodes of mania and depression but children who develop bipolar disorder before puberty may have more frequent episodes. They might experience their mania episode along with symptoms ADHD or other hyperactivity problems. 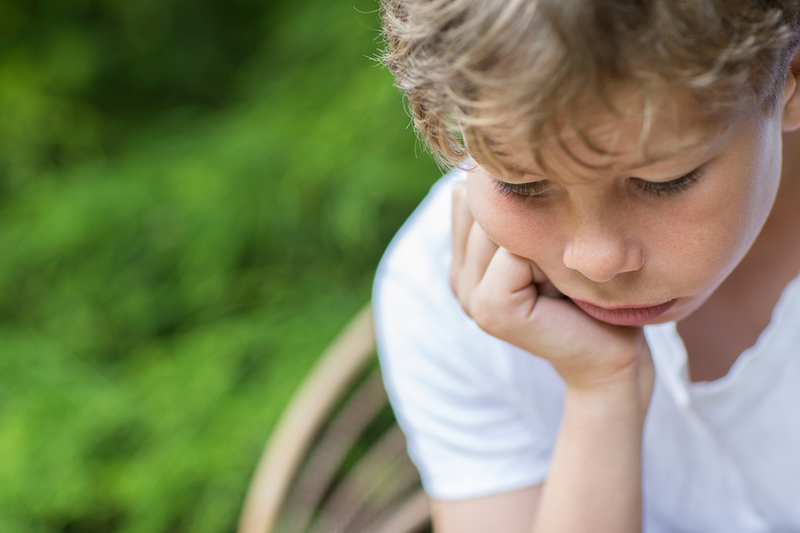 Children with a co-occurring disorder needs treatment and special care for both illnesses. No matter what age the onset of bipolar disorder begins, it is crucial to get an accurate diagnosis and effective treatment as soon as possible. A child with excessive mood changes and angry outbursts will cause problems at school and may have trouble socializing and succeeding academically. Kids need specialized treatment from a facility or a psychiatrist that is experienced with childhood bipolar disorder. Children require a lot of support in order to get the help that they need for bipolar disorder. A doctor may prescribe medication and provide them with counseling from a child psychologist that can help them with their mood changes. Early treatment can help prevent serious consequences and decrease the impact that the disorder has on a child’s mental health. Although bipolar disorder is a difficult illness, it is possible to make symptoms much more manageable with treatment. If you are concerned that you or your child is suffering from bipolar disorder, contact a treatment center right away.